@playfulpixel tweets: Best error message placement ever. It actually requires the user to adjust their workflow by moving the task bar. 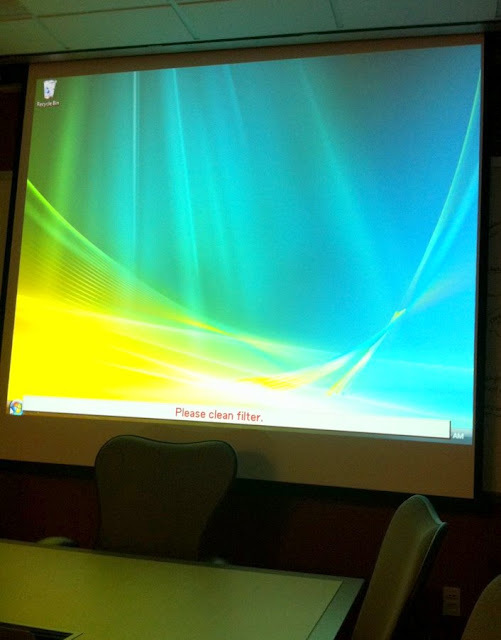 Is the user of the conference room projector expected to clean the filter? Are they even able? If not, is it a good thing or a bad thing to put this message in a location that is very likely to annoy?